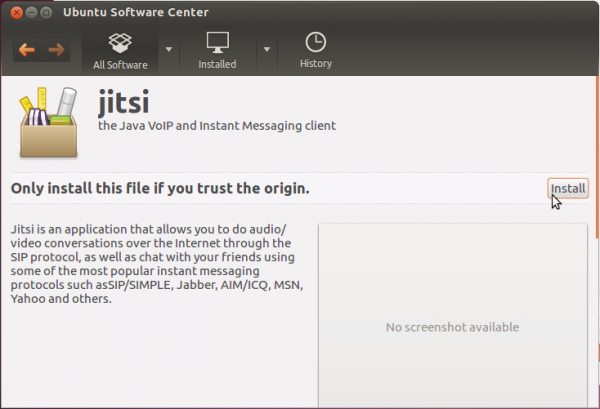 Jitsi is a multi-protocol, multi-platform voice and video instant messenger client. It is mostly implemented in Java, and is Free/Open Source software licensed under the LGPL. 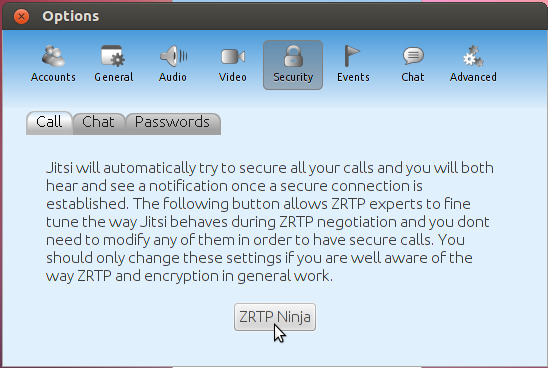 Where other VoIP services and clients send data in the clear, Jitsi sets itself apart by making use of ZRTP to set up secure communication with SRTP, Secure Real-time Transport Protocol. Version 1.0 was released on April 3. This article shows how to install it on Debian, Linux Mint, Ubuntu or any other distribution derived from Debian. 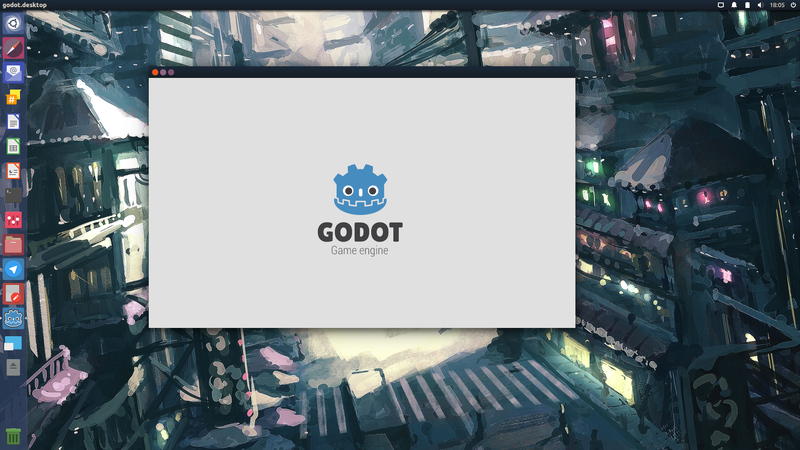 Clicking OK on that window opens the package in the graphical package manager. 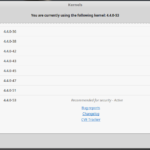 In Ubuntu 12.04 and earlier, the Software Center, Ubuntu’s graphical package manager, should open. Click Install. After installation, search for and launch the application from the menu. 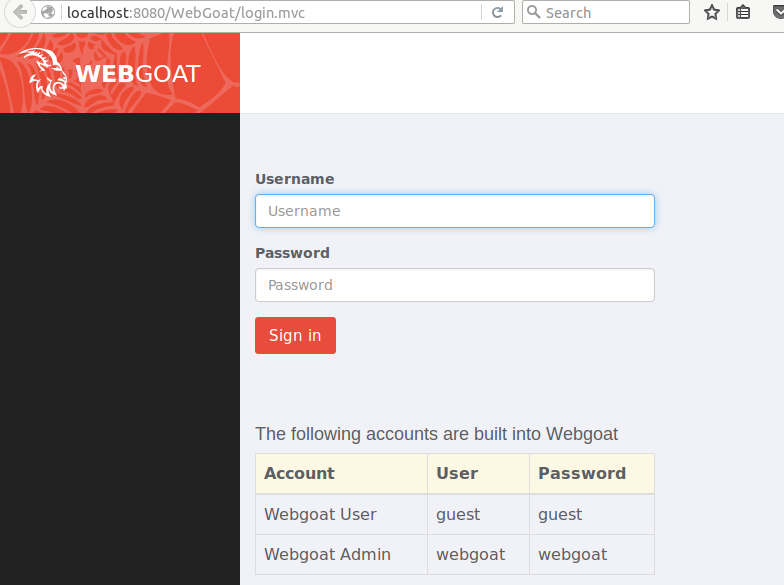 The main interface is shown below. This image shows the supported protocols. This is why it is called a multi-protocol IM client. You can now do all your voice and video chatting from one simple application. And this one, Jitsi’s security options configuration window. 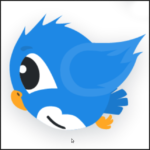 Encrypted communication from your Linux desktop. Some users had problems with the last stable release. Those issues should have been fixed in this latest stable version. please help me to install software to kali linux os,. Why don’t you try an advanced PBX instead? You can find a video about secure VoIP calls here as well. Without a Linux version, you are trying to sell to the wrong crowd. I tried installing this on both Ubuntu 12 & Mint 13 (Cinnamon desktops) and it freezes the desktop in both o.s. I stay with Ekiga & the other one. PS. nice page, good topics. I did try to install it but it did not work, it is probably not complete or so. What distro did you try to install in on? 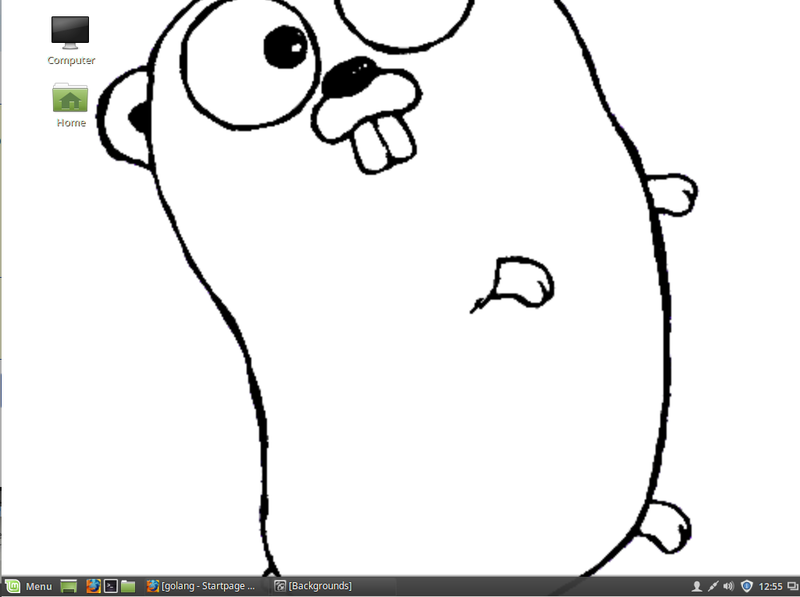 I installed it successfully on Fedora 17 beta using the rpm package. 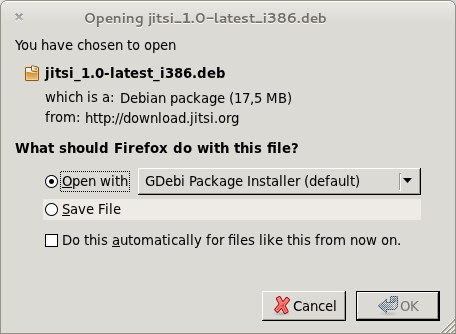 See hoe to install Jitsi in Fedora. If the rpm package does not install on opensuse tumbleweed, have you tried compiling it from source? I am User so I did only try to install rpm, the warning say „java >=1:1.5.0, needed for jitsi“, no repository has it”. So the jitsi & repository have this thing called java not if I understand it right. The installer is just telling you that you need a version of Java greater than or equal to version 1.5.0. (Java 1.5.0 or better). Use opensuse’s graphical package manager to find out what version of Java is available for installation in the repository. The repository is just like an App Store or Android market.